The above downloadable teaching material is recommended for elementary school students at Beginner (pre-A1) and Elementary (A1) level. 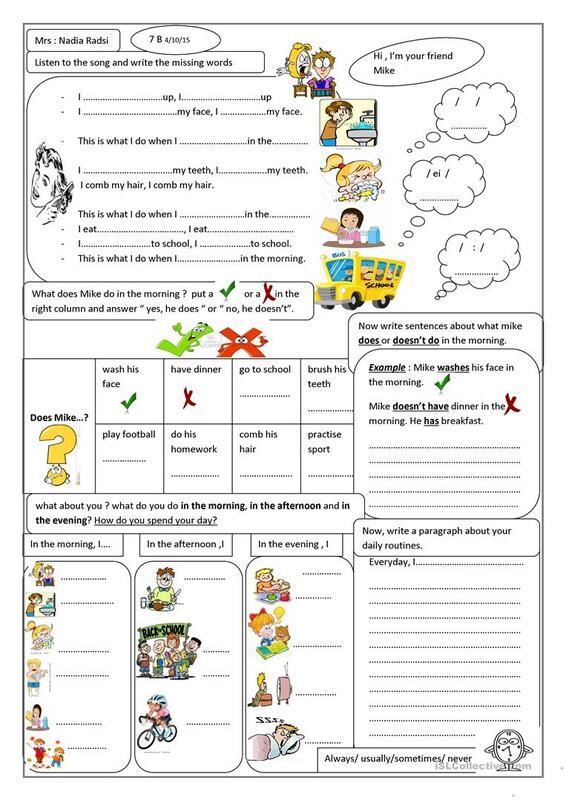 It is a useful material for consolidating Present simple tense in English, and is excellent for developing your class' Listening, Spelling, Speaking and Writing skills. It is focused on the vocabulary topic of Daily routines.